These well known duos lived out their relationships on the page. The famous relationship between Sartre and Beauvoir found even greater notoriety when, in 1986, the executor of Beauvoir’s estate published her unedited Letters to Sartre (Beauvoir had published some of Sartre’s letters to her years earlier, but used some discretion and changed names). The notes were deeply revealing—both in terms of character and private details. Still, the letters are full of wonderful passages like this one from Beauvoir: "Goodbye, your self, my life—I love you. The weather’s filthy—my whole room’s shaken by the wind, you’d think it was going to turn upside down. My tenderest kisses, beloved little being—I dreamt about you." The last Empress of Russia and the French philosopher never met, but they were pen pals for 15 years, until Voltaire’s death in 1778. "I am older, madame, than the city where you reign," he wrote a couple of years into their correspondence. "I even dare to add that I am older than your empire." In 1940, the Russian-American novelist Nabokov made the audacious move to write to Wilson—a writer and critic—in English, despite being new to the United States and having very little experience with the language. It ended up being a wise decision. The two would end up writing to each other for the next 30 years, accumulating more than 264 letters and 2000 pages of correspondence. Wilson helped Nabokov with his literary ambitions and they became good friends, quarrellers, and collaborators. In one of his first letters, Nabokov wrote, "I want to speak with you about your book. I enjoyed it immensely, it is beautifully composed, and you are extraordinarily unbiased although here and there I did notice two or three little thistles of conventional radicalism sticking to your freely flowing gown." Schumann was 35 years old and married to composer Robert Schumann when she began an intense emotional entanglement with her husband’s protege, 21-year-old Johannes Brahms. Robert was in an insane asylum and Brahms was living with Clara and her seven children, to help and console her, though he was careful not to overstep any obvious boundaries. Even after Robert died in 1856, the pair stayed apart, perhaps because of the age difference or out of loyalty to Robert (or guilt). Brahms went to Düsseldorf and Clara moved to Berlin. When he visited in October 1857, things had changed. After their visit he wrote, "My dear Clara, you really must try hard to keep your melancholy within bounds and see that it does not last too long. Life is precious and such moods as the one you are in consume us body and soul ... Passions are not natural to mankind, they are always exceptions. The man in whom they overstep the limits should regard himself as an invalid and seek a medicine for his life and for his health. The ideal and the genuine man is calm both in his joy and in his sorrow." Nin and Miller were both married when they met in Paris in 1931, but that didn’t stop them from embarking on a years-long affair that spawned some glorious exclamations of adoration. In August 1932, Miller wrote: "Here I am back and still smouldering with passion, like wine smoking. Not a passion any longer for flesh, but a complete hunger for you, a devouring hunger. I read the paper about suicides and murders and I understand it all thoroughly. I feel murderous, suicidal. I feel somehow that it is a disgrace to do nothing, to just bide one's time, to take it philosophically, to be sensible." Around the turn of the century, Wharton and James struck up an epistolary relationship after crossing paths at a couple of dinner parties. 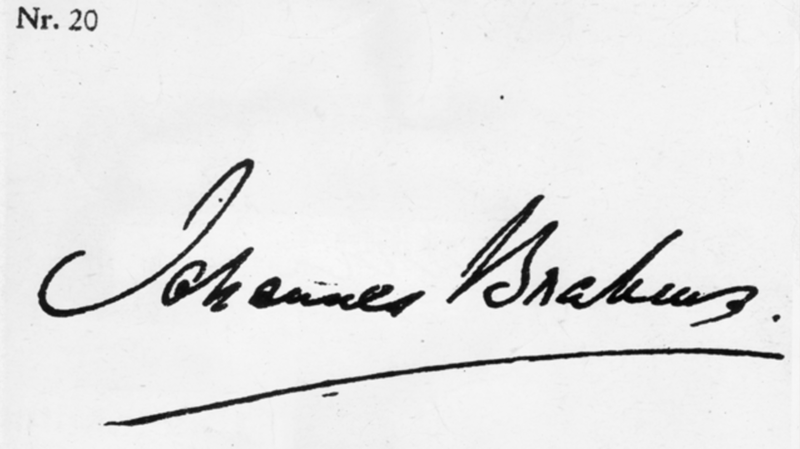 They were both writers and expatriates, and in his inaugural letter, James is enthusiastically supportive: "And I applaud, I mean I value, I egg you on in, your study of the American life that surrounds you. Let yourself go in it & at it—it’s an untouched field, really: the folk who try, over there, don’t come within miles of any civilized, however superficially, any 'evolved' life. And use to the full your ironic and satiric gifts; they form a most valuable (I hold) & beneficent engine." They continued to support and battle over each other’s work and were loyal companions until James’ death in 1916. Sadly, in fits of depressive rage in 1909 and 1915, James burned a large portion of his papers, including most of Wharton’s letters. Bishop and Lowell met in New York in 1947 when they were both rising stars in the poetry world; she had just published her first book and he had just won a Pulitzer. They would write to each other for the next 30 years, warmly supporting each other, both professionally and personally. In 1948, he wrote: "At last my divorce [from fellow writer and Pulitzer winner Jean Stafford] is over. It’s funny at my age to have one’s life so much in and on one’s hands. All the rawness of learning, what I used to think should be done with by twenty-five. Sometimes nothing is so solid to me as writing—I suppose that’s what vocation means—at times a torment, a bad conscience, but all in all, purpose and direction, so I’m thankful, and call it good, as Eliot would say."